As the holiday season creeps around the corner, the pressure is on to exit 2018 with a bang. So, what better way is there to make a statement with a new ride, and more than that, a ride that complements who you are perfectly? MINI IN THE FRONT, PARTY IN THE TRUNK. One of the most distinguishable features that sets the Clubman apart is the split-rear doors found exclusively on this MINI model—a practical design that simply makes sense. With the optional Easy Opener function, loading things onto the 360-Litre cargo compartment has never been more convenient. However, even without it, the split-door design will create a wide opening that is perfect for any luggage you might want to bring for a road trip. With the Clubman, weekend getaways are elevated to a whole new level of stress-free packing. CLUBMAN WILL ALWAYS HAVE YOUR BACK. The Clubman, being the superhero you’ve always wanted in a friend, is a reliable one that will be there for you no matter what. The ALL4 All-Wheel Drive system allows for better command over the roads, especially during the upcoming wet season. 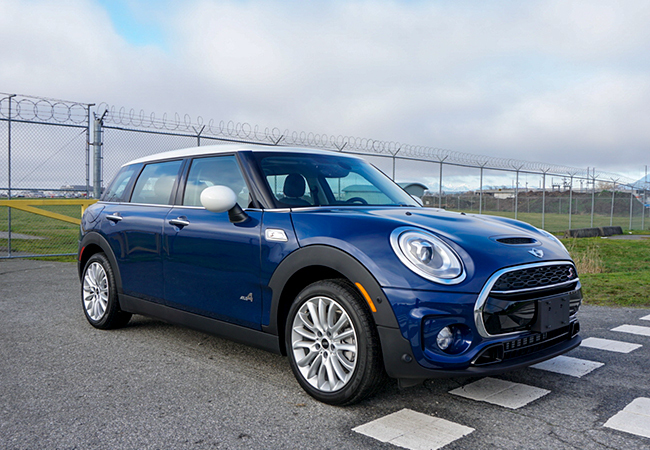 As for your regular commute anywhere, the Clubman will adapt to whatever type of drive you’re feeling that day; the choice to go SPORT for thrill days and the ability to go GREEN on leisurely drives are right at your fingertips. Typically, we recommend switching to MID, where the Clubman can offer you the best of both worlds. Need we say more about why the Clubman is your go-to guy (or gal)? Come meet one at MINI Richmond today and take it out for a run.